In between jobs, had originally registered this domain as a corporate identity to do some consulting on software development methodology. The world is an anglification of the German word for blowfish or pufferfish. 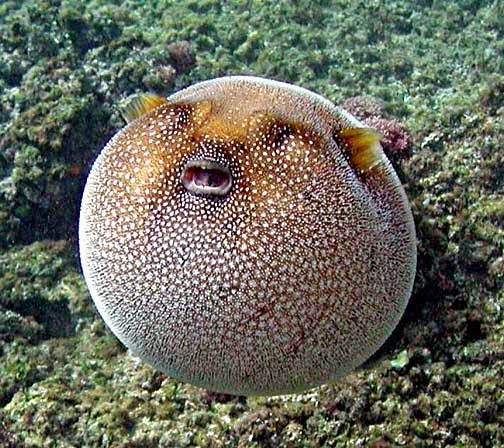 Besides sounding exotic and being still available as a domain-name, it also seemed an appropriate mascot with a certain sense of irony: Blowfish are experts at appearing bigger, more established and significant than they really are - a very useful skill for anybody just starting out in the consulting business. I ended up getting another corporate job, but the name is still here and it seemed appropriate to use it as an umbrella identity for publishing anything of technical nature. Great idea. I look forward to your commentaries, insights, analysis!